Join 314 Digital for our first breakfast panel event of 2019! Thank you to Spectrum and Shareable: Social Video Strategy by Coolfire for sponsoring Connected TV: Taking a Piece of the Pie. Register for FREE on Eventbrite. Join us as we celebrate with St. Louis’ top brands and agencies. Enjoy complimentary cocktails and appetizers as we celebrate the best of St. Louis' interactive and digital media. Get your free ticket today! What does it mean to personalize marketing? What do consumers consider Relevant? Is programmatic the only place we achieve this? Join 314 Digital & our sponsor Liquidus for the next complimentary breakfast panel on 6/20 at .ZACK in Midtown. We'll continue our discussion on the Power of the Mix through Personalization and Relevancy. Register today on EventBrite. Everything is becoming digital including TV, radio and OOH. Join us and our sponsors Media IQ and Pandora as we discuss how to hold the placements themselves (is Pandora radio or digital … does it matter? ), understand if programmatic data can inform T-video plans (or even OOH?) and how to build a data-driven marketing organization (when to leverage a vendor’s insights or your own?). Register for your free ticket today. Thank you to our sponsors: Teads, Sharethrough, AdTheorent, Zoom Media, Nativo, Foursquare, Centro, and The Creative Group. Educational Panel: Have you found what you’re looking for? The ever evolving digital landscape is calling for innovation within search advertising. Enjoy a complimentary breakfast as we hear from our panel of professionals share their thoughts the new trends for organic and paid search advertising. Special thanks to our Presenting Sponsor, Pinterest. 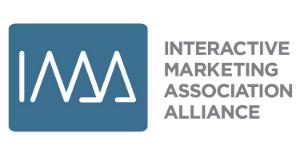 Come out and enjoy a complimentary breakfast as we hear from our panel of professionals share their thoughts on how a consumer's mobile usage and hyper-connectivity leads to high expectations of their brand interactions. Register for your free ticket today. Tracking measures for viewability, fraud and brand safety are truly shaping the industry. Enjoy a complimentary breakfast as we hear our panel of speakers discuss the overall cost of ad placement measurement and the way it’s impacting advertising plans. Get your ticket today! Thank you to our sponsor MOAT. Join us as we celebrate with St. Louis’ top brands and agencies. Enjoy complimentary cocktails and hors d’oeuvres as we celebrate Interactive and Digital Media. Come hear our panelists cover topics around the differences between local and national marketers. What are the differences when it comes to resources, capabilities, creative execution and authenticity. How creative can be developed to speak to consumers in a local manner, even for national brands. ...All while you enjoy a complimentary breakfast. Get your ticket today. Thank you to our sponsors Centro and Factual. Join us for our first educational event of 2016. Enjoy a complimentary breakfast as we hear our panel of speakers discuss the best techniques to facilitate conversations and develop stronger partnerships between the Creative and Media departments. Get your ticket today. Thanks to our sponsor Undertone!